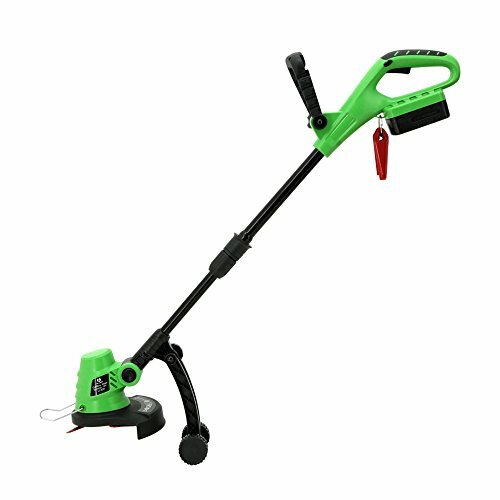 Make yard work simple and easy with this battery powered 18-volt lithium-ion powered trimmer/edger combo. The high-strength composite blade design saves you the hassle of pulling and reloading trimmer lines. The adjustable kickstand wheels make trimming easy while taking the load off your arms and back. A 3-position head allows you to trim from any angle. The telescopic handle adjusts to you so that you can work in comfort and reduce back fatigue. Make yard work simple and easy with this battery powered 18-volt lithium-ion powered trimmer/edger combo. The high-strength composite blade design saves you the hassle of pulling and reloading trimmer lines. The adjustable kickstand wheels make trimming easy while taking the load off your arms and back. If you have any questions about this product by MCombo, contact us by completing and submitting the form below. If you are looking for a specif part number, please include it with your message.